Tyler Sarfert is a musician based out of South Jersey with a strong reputation for his musical talent and very strong voice. At the early age of 10-years-old, Tyler started out on drums and marimba as his first instruments. Over the years, he gradually and naturally picked up more and more instruments such as piano, guitar, and bass. On top of his musical ability, and strong performance style, Tyler is also experienced as an Audio Engineer. Being a fellow Rowan Music Industry technology student, Tyler thrives in his recording abilities, which go hand in hand with his music. Personally, I believe Tyler is very good at the process of recording vocals. He recently showed me a few demos of some upcoming unreleased songs, and I was blown away by the quality of the songs as well as the songs themselves. Tyler, being a fellow Rowan “prof,” let me bother him enough to let me interview him and really get some personal in-depth answers on his musical involvement. S.M. : Tell us a little bit about Tyler Sarfert and what your music is about. Tyler Sarfert: Tyler Sarfert is my stage name actually. My real name is Tyler James Sarfert, just to clear that up. Also, I like burgers and hot chocolate. Now that we got the formalities out of the way, I'll answer the second and most important part of the question. My music is constantly changing and developing as I continue to change and develop . And, after a few years of writing and refining a bunch of songs, my first album titled Transitions is being released in about month and a half. This album is unique lyrically because you can literally hear the progression of time pass as you go through each track. It took four years to finish so obviously I'm not the same person I was when I started, and I think people will really connect with some of the themes that are portrayed. Talk a little bit about your major at Rowan. I'm a Music Industry Major with a specialization in Business. Or, how I simply tell people without losing my breath: "Music Business." The best part has been meeting people who think the same way as I think. It's motivating to see others going after the same thing I am all while learning and helping each other along the way. I started getting into audio engineering when I was in 7th grade. I bought a recording bundle off of eBay and that's where it all started. Since my birthday is six days after Christmas, I would usually ask for one combined "big" gift a year that was related to music. I've been doing that for a very long time and it's made things incredibly easier as I write and make videos, etc. But, I'm also thankful to have a really supportive family, and without them I wouldn't be where I am today. Now, I have a studio called Sun Reserved Studio, and it's been great to work with other singer/songwriters and bands to help bring their songs to life. How long have you been involved with playing and creating your own music? What would you say your favorite instrument is? Well, honestly, I joined band in fifth grade because all the cool kids were doing it. I chose percussion because the rest of my family played guitar, and I didn't want to be like them. As the years went by and I started feeling those weird emotions you start to feel in middle school, I thought I'd start writing songs like my other two brothers. Unfortunately, it was highly difficult to write a song on drums that would tug the heartstrings. So having a keyboard background with the xylophone, I started playing piano and writing songs. Then since I didn't have a band I learned guitar and started recording full band songs around freshmen year. If I'm jamming with people, I love to be on drums. If I'm performing, guitar is great because I'm not glued to one position. If I have 30 minutes and want to write something real quick, I'll probably sit down at the keys. Each instrument I use for different purposes but drums will always be my first love. I still take drum lessons! I've been at Fresh Start Church since I was about 8. I've grown up and met some of the best people I know there. That's actually where I met Shane from Indian Run. God and faith is something that continues to have a huge impact on my life and to be able to use the abilities I have been given at a church that I love, with people I love, for a God that I love, is an awesome opportunity I don't take for granted. Cookie dough most days, mint chocolate chip when I want to feel healthy. Next question. What is your most recent release and what should we expect to come in the next release? 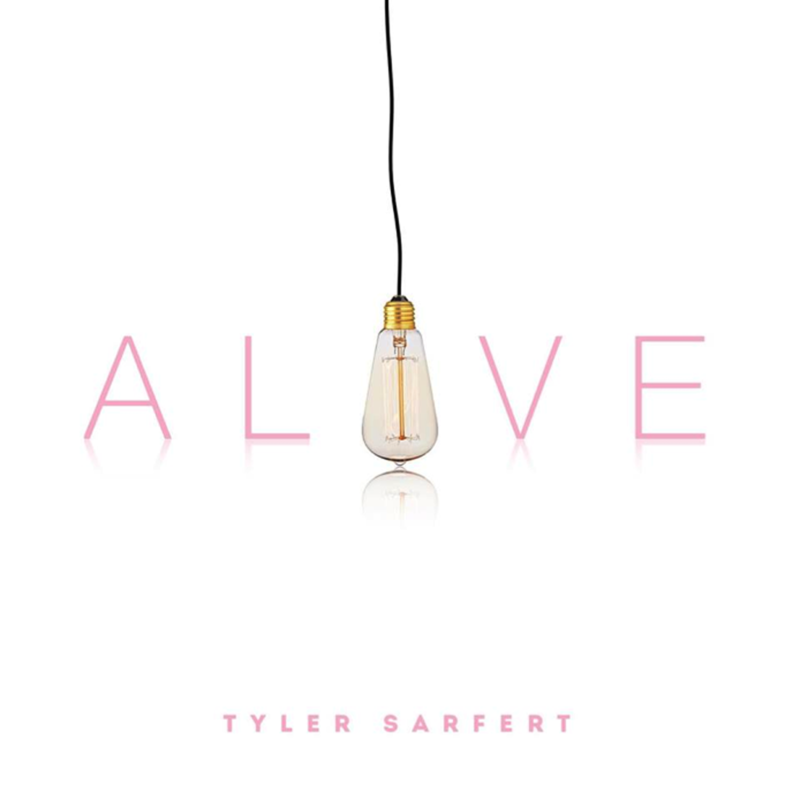 My most recent release, "Alive," is the second single off the upcoming album. "Alive" is my perspective on life and even though it seems like there is no point to it, that we do have a purpose on this earth and should push through all the craziness we see around us these days. My next release is going to be the album, Transitions. I cannot wait for the day people will finally get a chance to listen to what I've been working so hard on for the last few years. It really shows you who I am now, and where I've been these last four years of my life. Always. First things first, Sean, you're a gentlemen and a scholar. Thank you for this interview. Next, I want to say thank you to everyone who has taken the time to read this and support me up to this point. Music is what I love to do, and to have people behind you enjoying what you're doing is incredibly humbling and makes it that much more meaningful. So thank you.